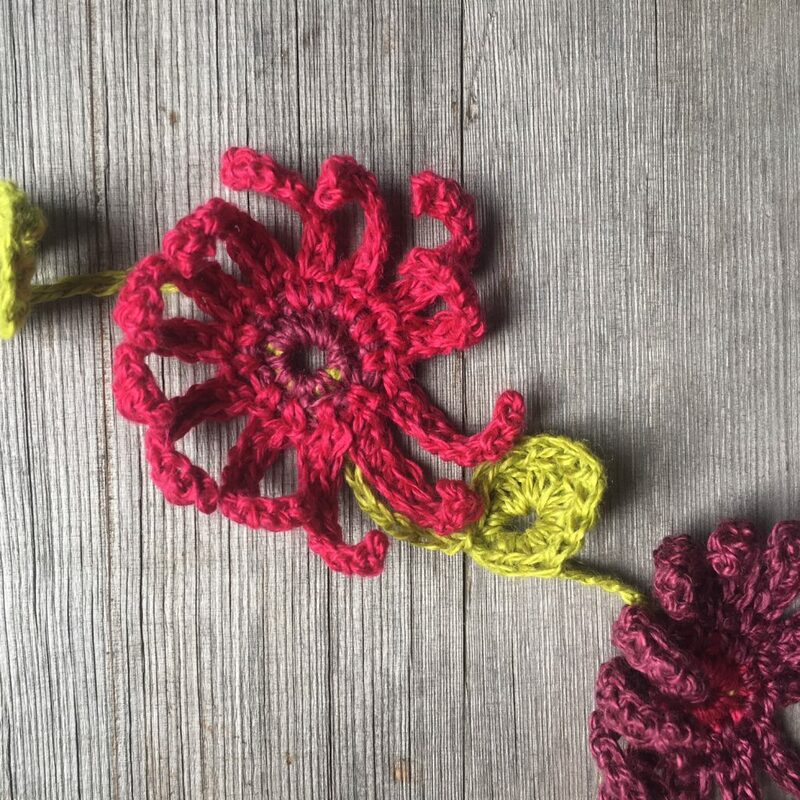 Home › Free Patterns › Beautiful Crochet Floral Necklace – A Free Pattern For You! Earlier this year, Erika Huesler was our visiting intern from Switzerland. Her many talents include: knitting, crochet and even designing a few patterns. 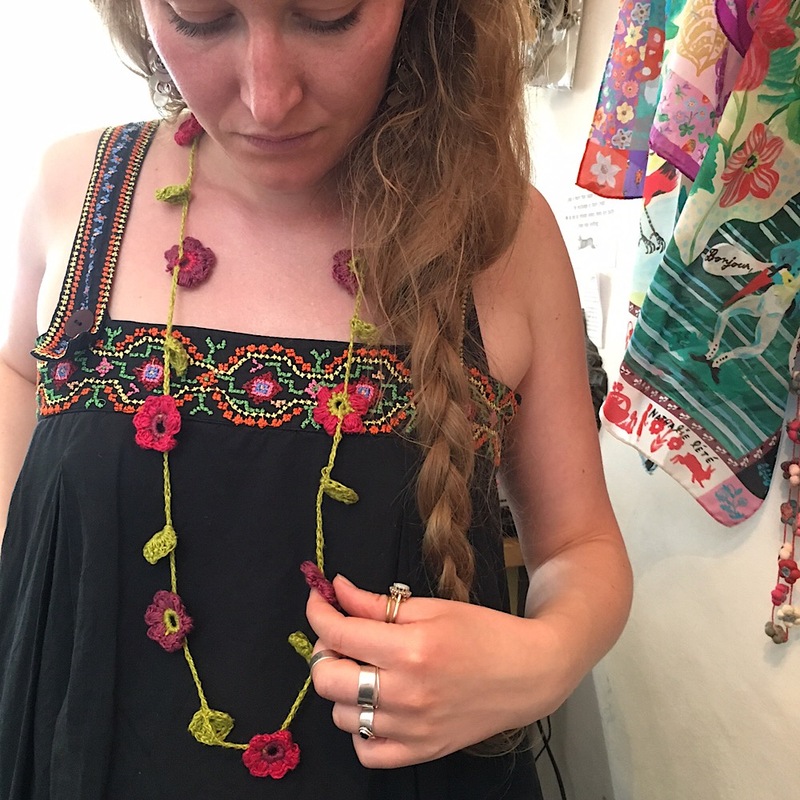 During her time spent with us, this crocheter extraordinaire generously created and wrote a pattern for a beautiful, colourful floral necklace to share with all of you. 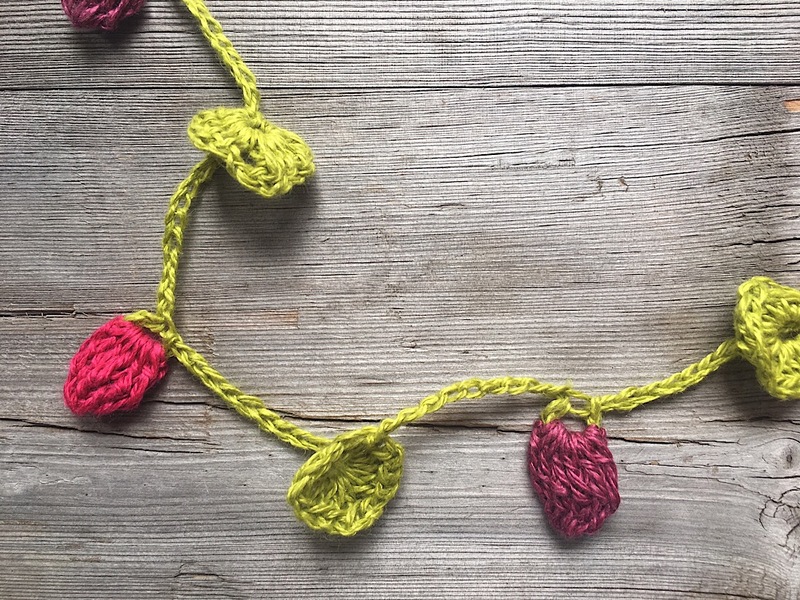 Erika used BC Garn Lino in several colours to crochet these pretty, summery necklaces. 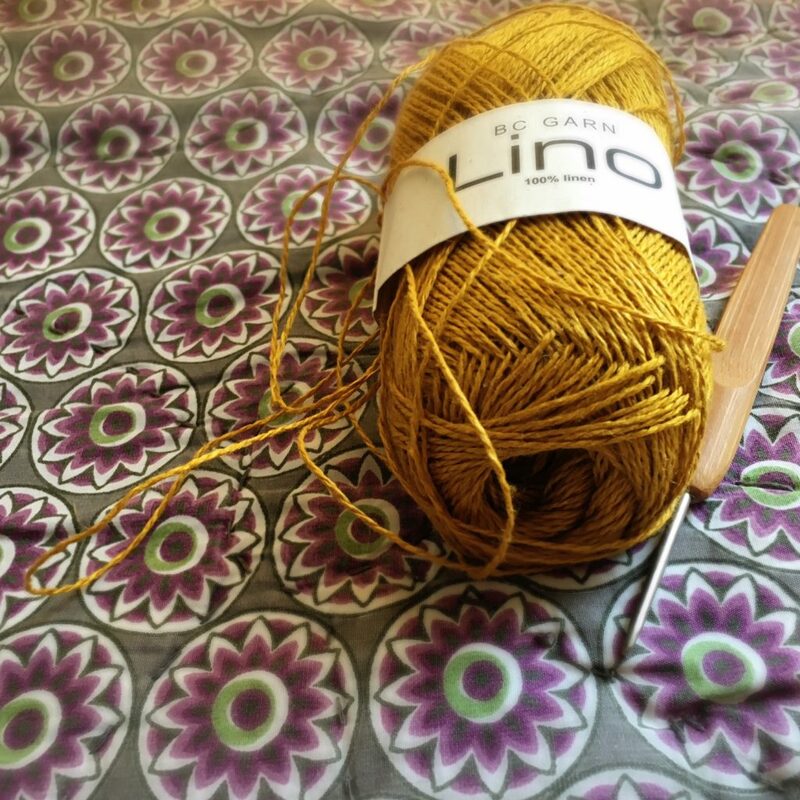 Lino is made of 100% flax linen and can be used for hand knitting, crochet, machine knitting, or weaving. The finished fabric softens after blocking and blooms with use, making it an ideal yarn for a summery garment or beautiful accessories. 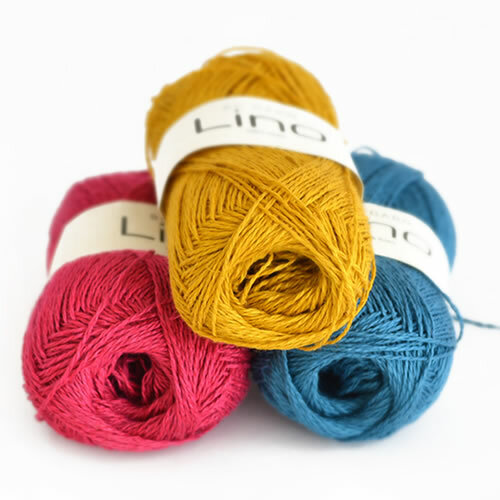 Loop is proud to carry 23 colours of this fabulous, versatile yarn. A Summery treat – Just for you! Use our free pattern as an inspiration and select your own colour choices to create a personalized look. 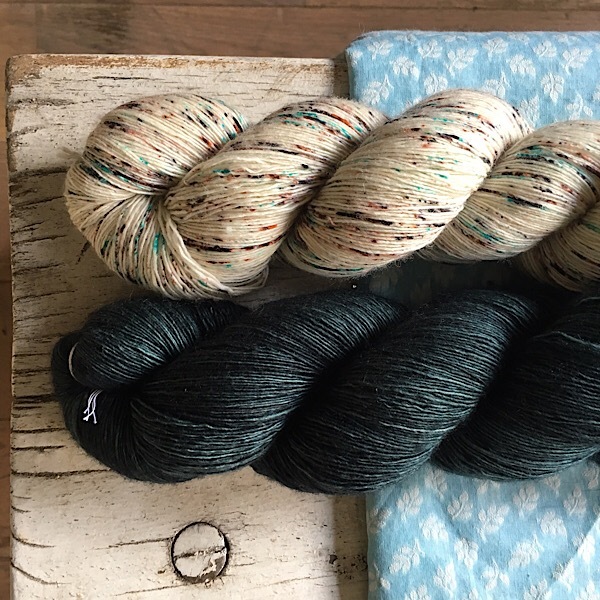 We’ve selected the winner from our Madelintosh New Colours Giveaway. Congratulations Gina M! We will be in touch to find out where to send your beautiful skein of Tosh Twist in ‘Snake’. 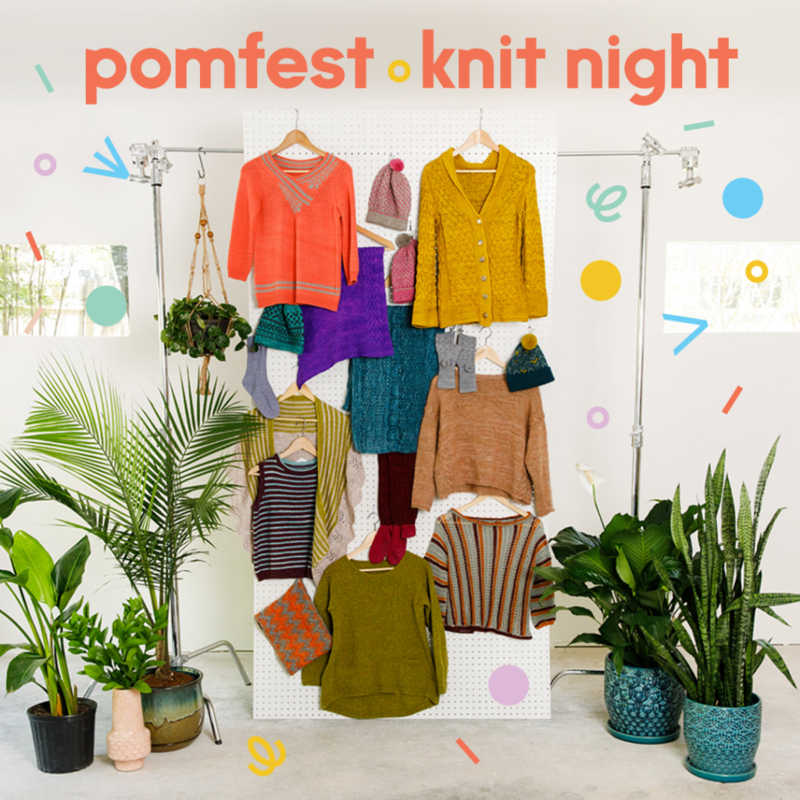 We’re thrilled to welcome Bristol Ivy to our Knit Night on July 13th as part of the PomPom 5th Anniversary Celebrations! The event is free from 6:30-8:30pm but please ring the shop (020 7288 1160) or email us (shop@loopknitting.com) to RSVP so we have an idea of numbers. Refreshments will be served. It should be such a fun evening. We hope you can join us! Beautiful necklace. 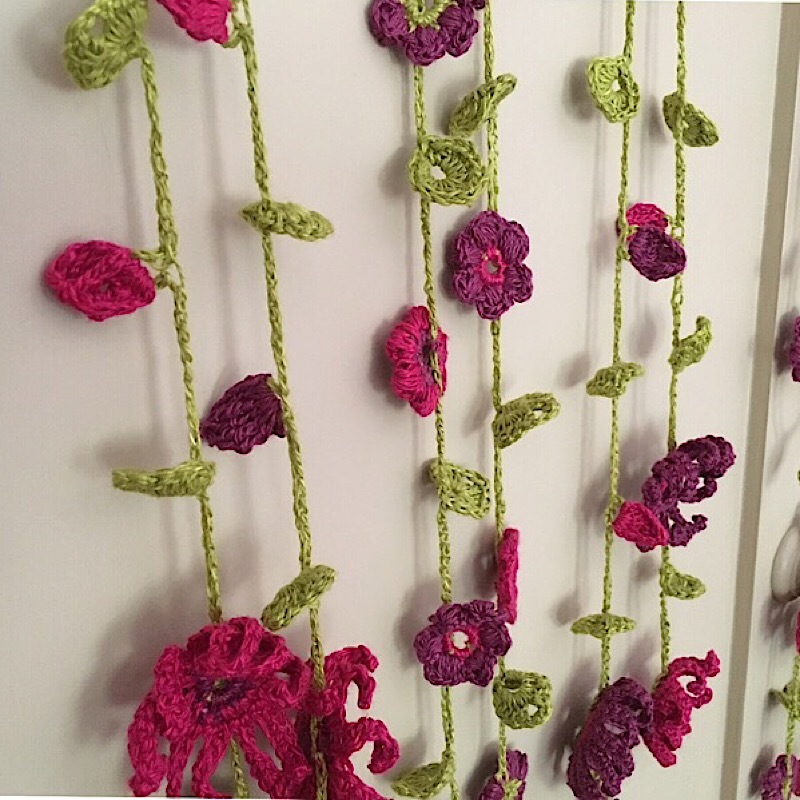 If I make it extra long, it will also make a wonderful garland for my summer house! Thank you for the free necklace pattern! 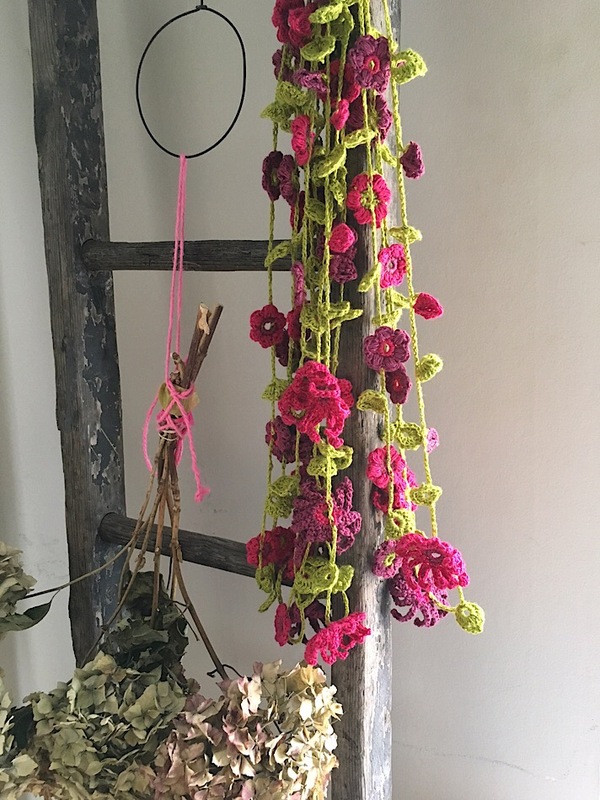 Last year my daughter gave me a necklace similar to this except crocheted in silk yarn-That being said I think I can handle it in the linen yarn better! Love your website and will visit the next time I am in London.